Pamper yourself with the exceptional nourishing properties of Sugar Plum Soap Co. Aloe Vera Bar! 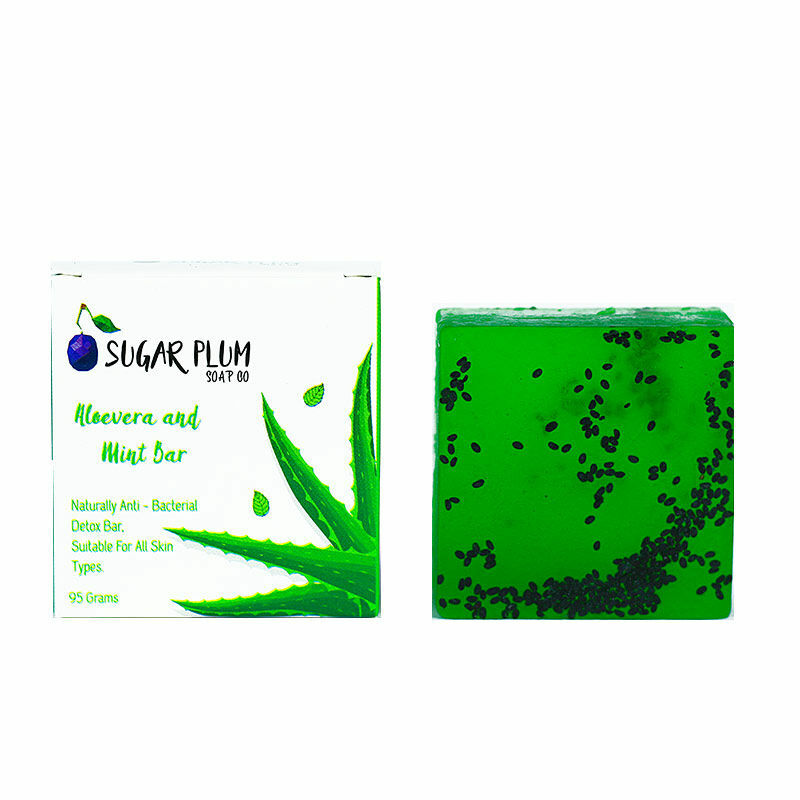 This soap enriched with the brilliant benefits of aloe vera, tulsi leaves and mint essential oil, is a natural antibacterial detox bar which gives gentle moisturising benefits for oily skin. The powerful moisturising properties of aloe vera prevents the skin, scalp and hair from drying out and keeps them healthy and flawless. Aloe vera detoxifies the skin and keeps the appearance of ageing signs at bay. Aloe vera has antibacterial properties which will leave your skin free of skin issues. This soap has a beautiful spicy scent that will keep your senses alive all day long.